Bathurst has a strong broadly based economy with good employment prospects. 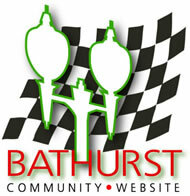 Bathurst prides itself as an education city. It has outstanding public education facilities including Charles Sturt University, Western Institute of TAFE, Conservatorium of Music, two high schools and numerous primary schools. Bathurst also has a large number of private primary schools and four private Colleges which have boarding facilities. A range of employment opportunities in the region can be found by serching the My Career website. Bathurst After School Care Inc.
Mitchell Early Learning Centre Inc.